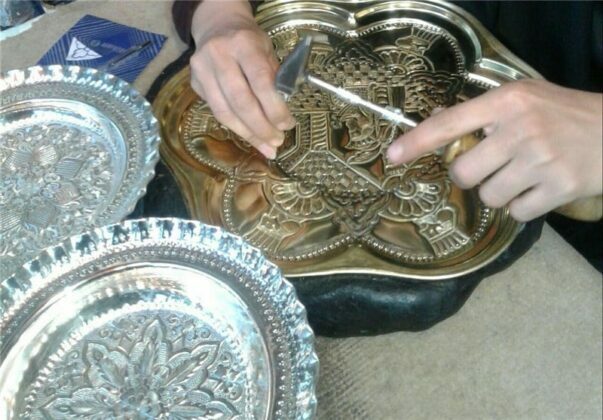 The art of making beautiful crafts using nickel silver is among the oldest traditions in Lorestan province in western Iran. 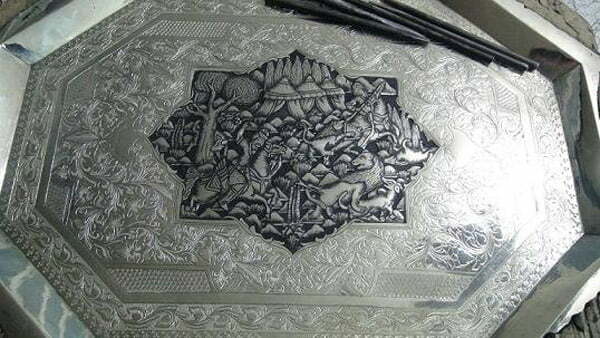 Since long times ago, the artists of Lorestan, the city of Borujerd in particular, have been earning their livelihood through making various types of handicraft including rug, jajim, carpet and a valuable art piece deeply rooted in the province’s history called nickel silver crafts. The crafts used to be among the most profitable careers in Borujerd making up for most parts of the old business in the region so much so that the Borujerd’s name and the crafts were associated with each other. 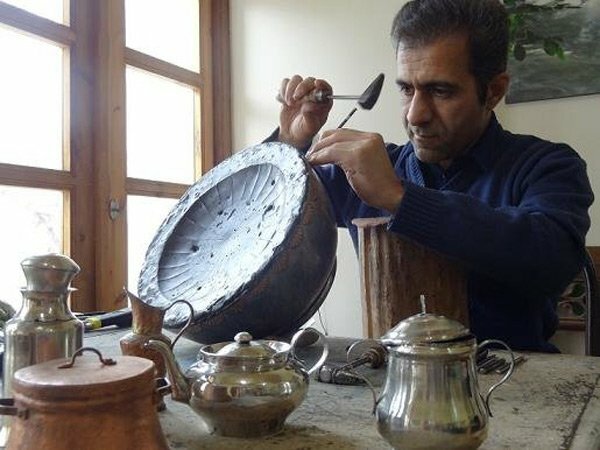 Through hammering and bending as well as using some simple devices and their own physical power, the artists of Borujerd create some beautiful pieces of art from nickel silver sheets like dining dishes, samovar, sugar dish, caddy, and rosewater sprinkler. 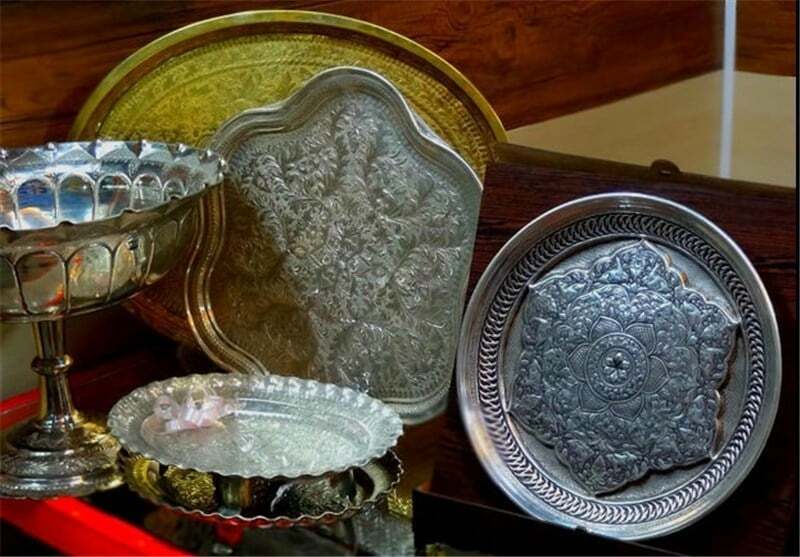 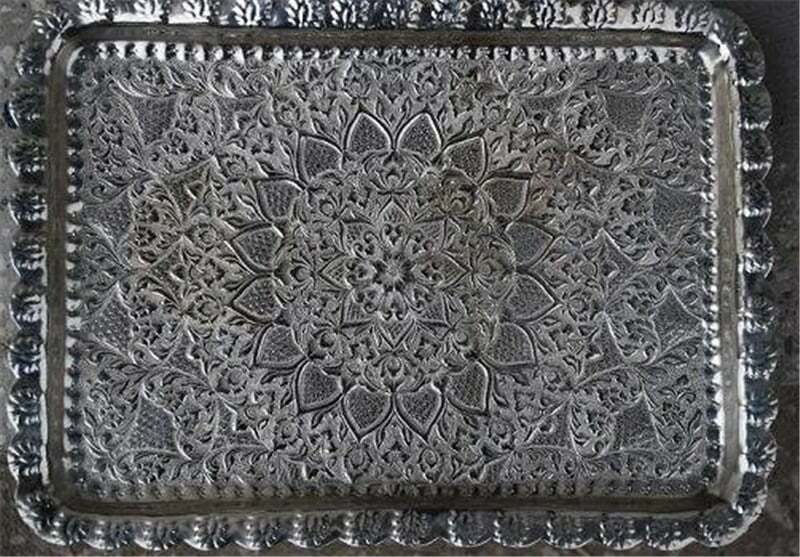 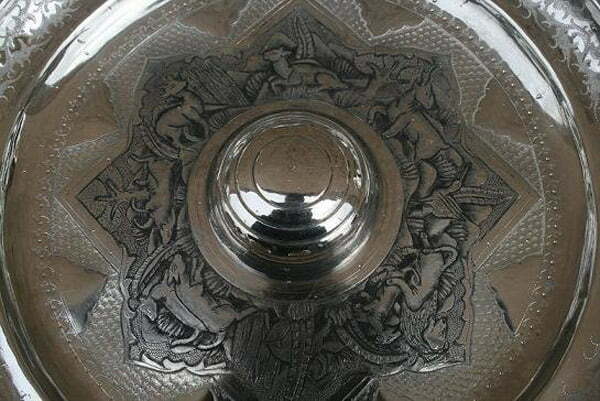 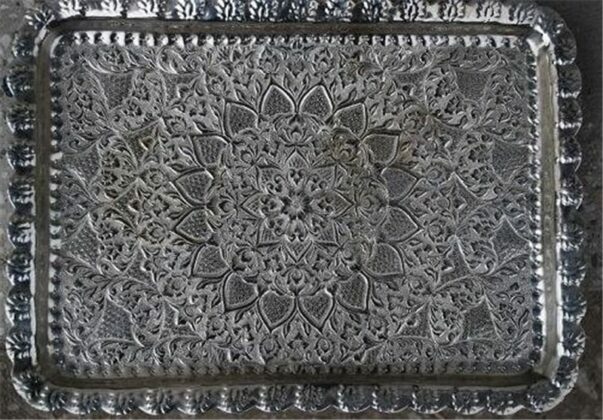 There are various accounts on the history of the nickel silver crafts in Iran. 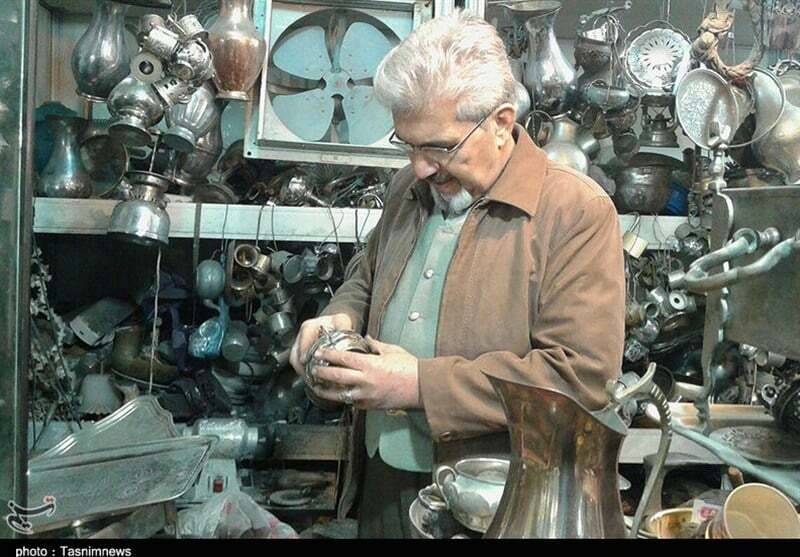 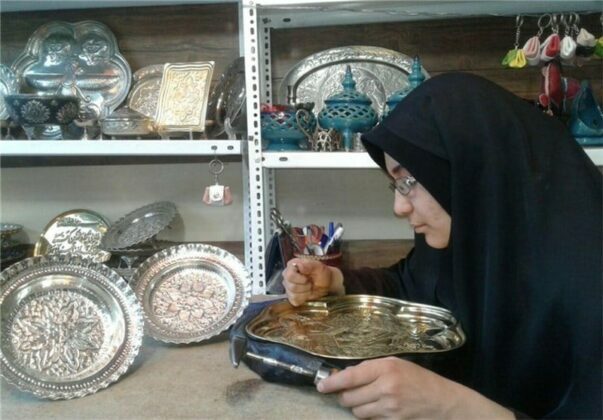 According to one historical account, a small number of Iranian blacksmiths from Isfahan, Borujerd, Dezful and a number of other cities were dispatched to Russia to learn the art of making nickel silver crafts. Meanwhile, according to some historical books, Iranians used to make nickel silver crafts under the Seljuk and Safavid dynasties and the art reached its climax during the Qajar dynasty. 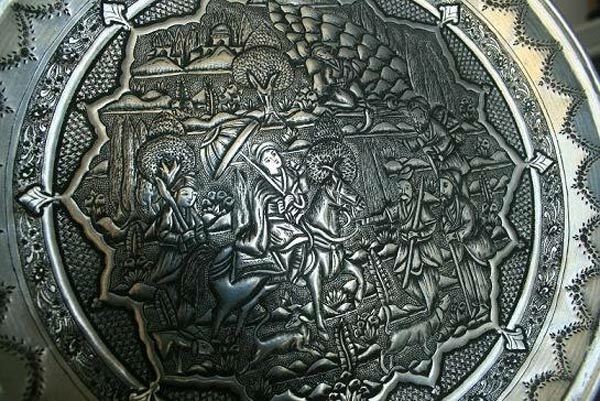 In some historical documents, a number of Borujerd artists are portrayed while working on nickel silver sheets. 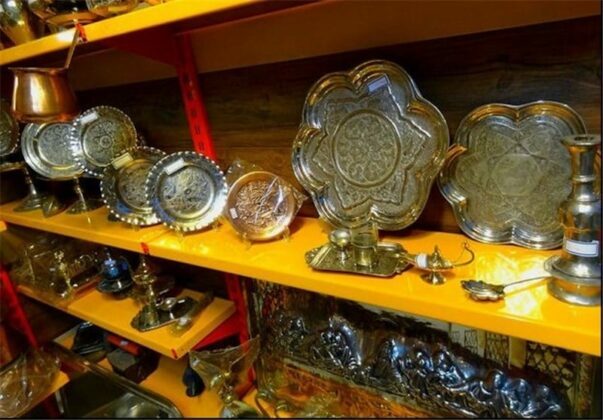 They used the sheets to make the basic items for an ordinary life. 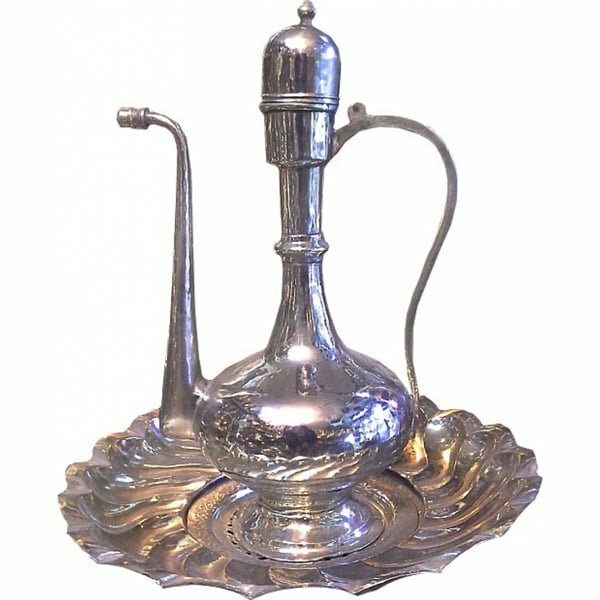 These artists came to be known as inkwell makers because they were the first artists who made inkwell from nickel silver sheets. Nickel Silver is a white-silver alloy consisting of 20 percent nickel, 35 percent zinc and 45 percent copper. 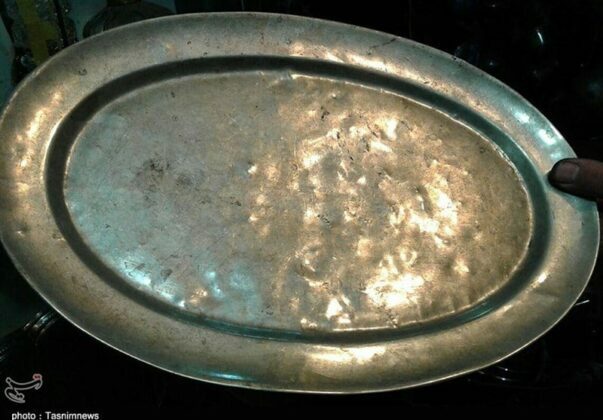 It melts and takes shape easily. It is imported into Iran from German and Poland. 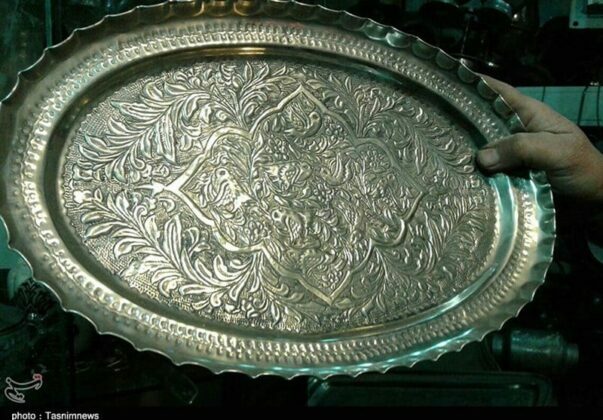 Given its brightness and resistance against decay, nickel silver is also known as German silver. 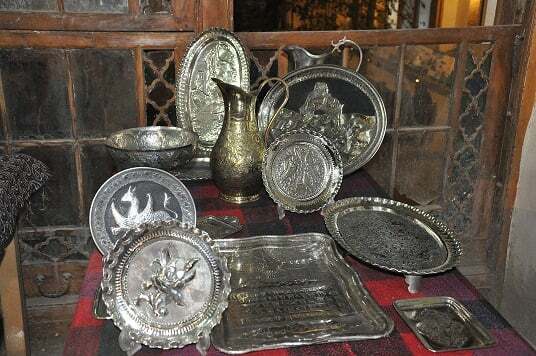 Nickel silver craft was registered as an intangible cultural heritage earlier this month.